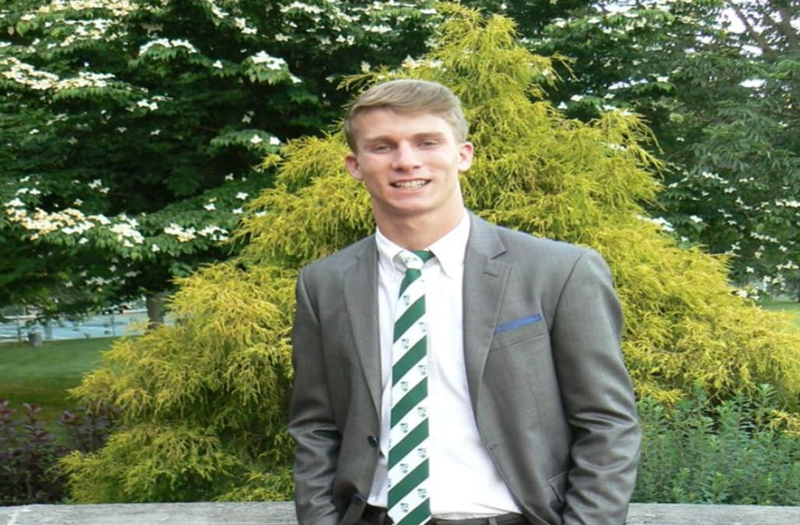 Mark Dombrowski, a 19-year-old St. Joseph's University student, has been found dead in Bermuda. Dombrowski was competing in a tournament with the school's rugby team and was last seen at a bar early Sunday morning. 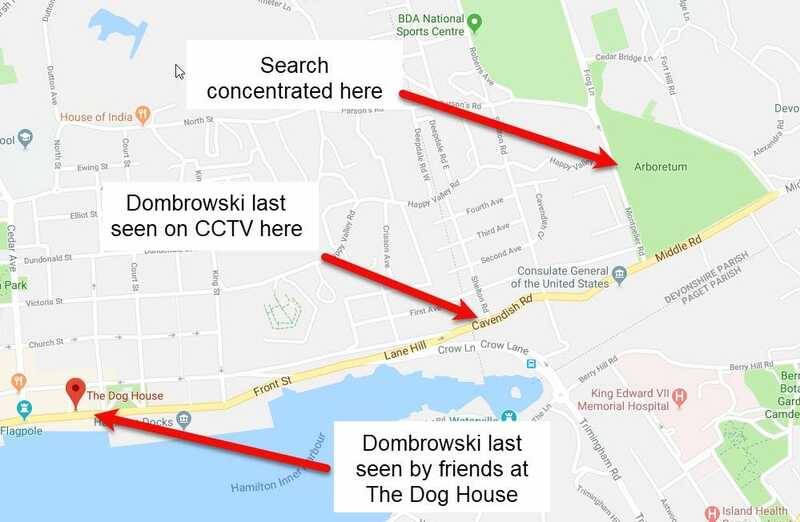 Bermuda police confirmed on Monday afternoon that they had found Dombrowski's body. Police did not announce a cause of death. A 19-year-old college rugby player from St. Joseph's University has been found dead in Bermuda after he went missing during a trip with his team, according to the Associated Press. Police have not announced a cause of death. Mark Dombrowski was with the St. Joseph's rugby team competing in the Ariel Re Bermuda International 7's Tournament over the past week. According to the Bermuda police, Dombrowski was last seen at 1 am, early Sunday morning. The team was scheduled to return to the U.S. on Sunday. Bermuda police released a statement saying Dombrowski was seen on cameras walking alone along a street at 1:09 am Sunday, and that he appeared to be talking on a cell phone. He was last spotted walking on a street less than a mile from the bar at 1:15 am. The search for Dombrowski concentrated on a wooded area known as The Arboretum near the sports center where the team had been competing, according to the AP. Organizers for the tournament had offered a $1,000 reward. After Dombrowski was reported missing, police distributed the flyer seen above, both locally and through social media channels. Dombrowski was from Claymont, Delaware.